The Bears came out firing in the first period finishing with a 20 point lead. The Western Stars rallied in the second period making shots early in the 3rd quarter. The constant defensive pressure from the Bears throughout the game led by Kylie Gauci (5 steals) forced 25 turnovers from the Western Stars which the Bears capitalised on constantly earning them a comfortable victory. Sydney Uni Flames 51 - Sarah Stewart 23, 14 rebs, 5 assists def. Dandenong Rangers 50 - Cobi Crispin 12, 15 rebs, 6 assists. Both teams started the game with aggressive defence with neither team able to get a lead finishing with level 8 all at the end of the quarter. The game was closely contested in the 2nd and third quarter with Dandenong able to edge ahedad by 7 points at the end of the quarter. However Sydney were not done and came out firing in the 4th quarter and went on an 8 - 2 streak. Both teams fought out the remaining minutes of the quarter and whilst both teams were in foul trouble it was Katie Hill who hit the winning free throw with seconds to go on the clock for a one point win to the Flames. Dandenong Rangers 65 - Cobi Crispin 27, 6 rebs. Def. The Be Active Western Stars 38 - Amber Merritt 26, 14 rebs. Both teams started the game well however it was the Rangers that took a commanding lead into the first break with a well played 20 - 7 lead. From there the Western Stars struggled with the defensive pressure of the Rangers forcing many turnovers giving themselves a comfortable win. Stacks Goudkamp Bears 48 - Kathleen O’KellyKennedy 5, 14 rebs def Sydney Uni Flames - sarah Stewart 14, 11 rebs. 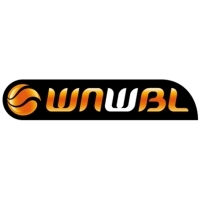 The Be Active Western Stars 44 - Amber Merritt 18, 10 rebounds - def Sydney Uni Flames - Liesl Tesch 13, 16 rebs. Both teams started the game well however if the Flames that took the lead going into the first break leading 10 - 2. However the Western Stars found their shooting touch and fought back and eventually took the lead early in the final quarter and capitalising on the Flame’s foul trouble. Merritt had a double double in what was a low scoring game overall. Dandenong Rangers 67 - Cobi Crispin 24, 12 rebs def The Stacks Goudkamp Bears 42 - Kathleen O’Kelly Kennedy 11, 4 rebs. The Rangers took an early 10 point lead in the 1st quarter with the Bears struggling to find the basket. Despite the best efforts of Mari Amimoto who contributed a valuable 14 points, the Bears could not handle the pace of the Rangers who came away with the comfortable win shooting a creditable 47% from the floor. 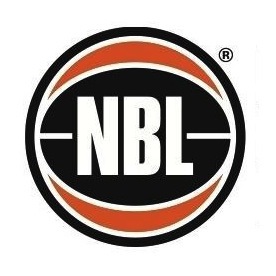 This was a very even round of competition with the Bears and Dandenong both winning 2 games and 1 loss whilst the Flames and Western Stars had to be content with 1 win from their 3 games.